New Delhi: Public health and environmental groups demand that Cabinet Committee on Economic Affairs (CCEA) should ensure that India desists from signing the "Comprehensive Economic Partnership Agreement" (CEPA) with Canada that allows the export of cancer causing Canadian asbestos to India. CCEA cannot defend its promotion of asbestos trade given the fact that the WHO, the ILO, all medical health professionals, overwhelming scientific evidence is opposed to it. Support for asbestos trade is indefensible. There is not a single reliable study in the world that shows that asbestos can be used safely in a controlled manner. Had that been the case some 60 countries would not have banned it. ToxicsWatch Alliance (TWA) appreciates the role of New Democratic Party (NDP) of Canada, the Official Opposition party for resisting the efforts Stephen Harper government of Conservative party of Canada to eliminate trade tariffs on exports of lethal Canadian asbestos to India. “It is a disgrace that the Harper government has opposed the global effort to ban this substance,” NDP said in a release dated December 5, 2011. Every day, work is underway in the Canadian House of Commons to decontaminate offices and houses of Members of Parliament that contain asbestos. The offices are being decontaminated because asbestos is carcinogenic and harmful to human health. In India, will members of Indian National Congress led United Progressive Government, CCEA and Commerce Minister, Anand Sharma reveal whether they want the asbestos roofs in their own houses and offices to be made of carcinogenic chrysotile asbestos? 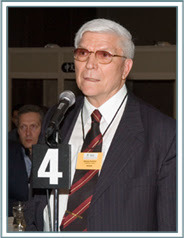 Don Stephenson, the chief negotiator of Canada for CEPA revealed to Canadian Parliamentary committee, "The potential impact of trade negotiations of asbestos is that the tariff applicable to imports of asbestos in India would be reduced. The current rate is 10% and there is a possibility that negotiations could lead to a reduction or elimination of this rate "on December 1, 2011. In India, this amounts to disregarding the notice dated July 6, 2011 issued by National Human Rights Commission that seeks report on victims of asbestos and need for ban on chrysotile asbestos (white) asbestos. The proposed free trade agreement between India and Canada will boost asbestos trade and lead massive increase in deaths and diseases to the killer fibers of Canadian asbestos. TWA demands that instead of reducing or eliminating tariffs on asbestos from Canada as is proposed in the CEPA negotiations, CCEA and Commerce Ministry should safeguard present and future generation of Indian citizens, consumers, workers and their families by banning trade in asbestos in every form. TWA has been writing to Commerce Ministry since the inception of these free trade agreement negotiations that commenced in November 2010, warning it against continued asbestos trade with Canada. The CEPA is to be finalized by 2013. Unmindful of incurable asbestos related diseases, Canada exported 70 000 tonnes of asbestos to India in 2010 alone. 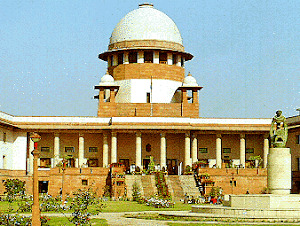 India rightly disassociated itself from Canada in June, 2011 who derailed the international consensus that categorizes chrysotile asbestos as a hazardous substance under the UN’s Rotterdam Convention on the Prior Informed Consent Procedure for Certain Hazardous Chemicals and Pesticides in International Trade. 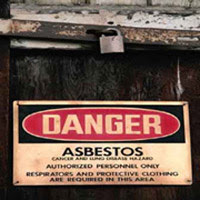 Thus, India has taken a position that it considers chrysotile asbestos as a hazardous substance. 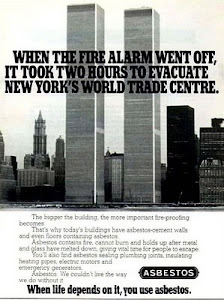 Now it should take the next logical step and phase out asbestos use. In an explicit case of hypocrisy and double standard, Canada categorizes chrysotile asbestos as a hazardous substance in Canada but promotes it as a harmless substance to India. 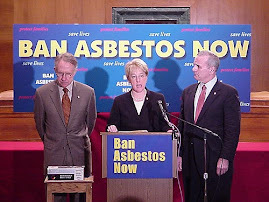 In a related development, on December 5, 2011 members of the public in Ottawa, Canada heard why Ms Michaela Keyserlingk thinks that the production and use of asbestos should be banned in Canada. Michaela's husband Robert died 2 years ago from asbestos cancer; since then, Michaela has been campaigning to raise awareness of the asbestos hazard. The event was organized by the Reverend Michel Dubord at St. John's Anglican Church in Ottawa. Six weeks ago, the Anglican Diocese of Ottawa passed a motion denouncing the Canadian Government's policy of exporting asbestos. TWA appreciates the efforts of Michaela and the Church. According to WHO estimates, more than 107 000 people die each year from asbestos-related lung cancer, mesothelioma and asbestosis resulting from occupational exposure. About 125 million people in the world are exposed to asbestos at the workplace. The World Health Assembly Resolution 58.22 on cancer prevention urges Member States to pay special attention to cancers for which avoidable exposure is a factor, including exposure to chemicals at the workplace. With Resolution 60.26, the World Health Assembly requested WHO to carry out a global campaign for the elimination of asbestos-related diseases "…bearing in mind a differentiated approach to regulating its various forms - in line with the relevant international legal instruments and the latest evidence for effective interventions…". Eliminating asbestos-related diseases is particularly targeted at countries still using chrysotile asbestos, in addition to assistance in relation to exposures arising from historical use of all forms of asbestos. • by improving early diagnosis, treatment, social and medical rehabilitation of asbestos-related diseases and to establish registries of people with past and/or current exposures to asbestos. 1. Resolves that: (a) the elimination of the future use of asbestos and the identification and proper management of asbestos currently in place are the most effective means to protect workers from asbestos exposure and to prevent future asbestos-related diseases and deaths; and (b) the Asbestos Convention, 1986 (No. 162), should not be used to provide a justification for, or endorsement of, the continued use of asbestos. 2. Requests the Governing Body to direct the International Labour Office to: (a) continue to encourage member States to ratify and give effect to the provisions of the Asbestos Convention, 1986 (No. 162), and the Occupational Cancer Convention, 1974 (No. 139); (b) promote the elimination of future use of all forms of asbestos and asbestos containing materials in all member States; (c) promote the identification and proper management of all forms of asbestos currently in place; (d) encourage and assist member States to include measures in their national programmes on occupational safety and health to protect workers from exposure to asbestos; and (e) transmit this resolution to all member States. Taking cognizance of the above mentioned facts and resolutions, TWA demands that the Commerce Ministry and CCEA should: (a) stop asbestos trade in CEPA in particular and ban manufacturing, use and import of asbestos and trade in asbestos products in general; (b) assist workers affected by diseases caused by asbestos fibers by developing a Just Transition Plan; (c) introduce measures dedicated to affected workers and their families to assure them of a decent standard of living; (e) support and compensate citizens and consumers who are victims of asbestos exposure through legal remedy, (f) decontaminate asbestos laden buildings of Parliament, Supreme Court and the houses of legislators, officials, personnel from armed forces, airports, railway platforms etc and (g) float global tender inviting companies who have competence, skill and capacity to remove asbestos from existing buildings. India should act urgently to stop import of human misery on a monumental scale. Asbestos trade is morally and ethically reprehensible.